Maybe it seems like an unlikely scenario. By now you’ve probably guessed that the 6-year-old kids weren’t smokers. They were a part of a video campaign made by Ogilvy & Mather for the Thai Health Promotion Foundation. First: it shocks us. 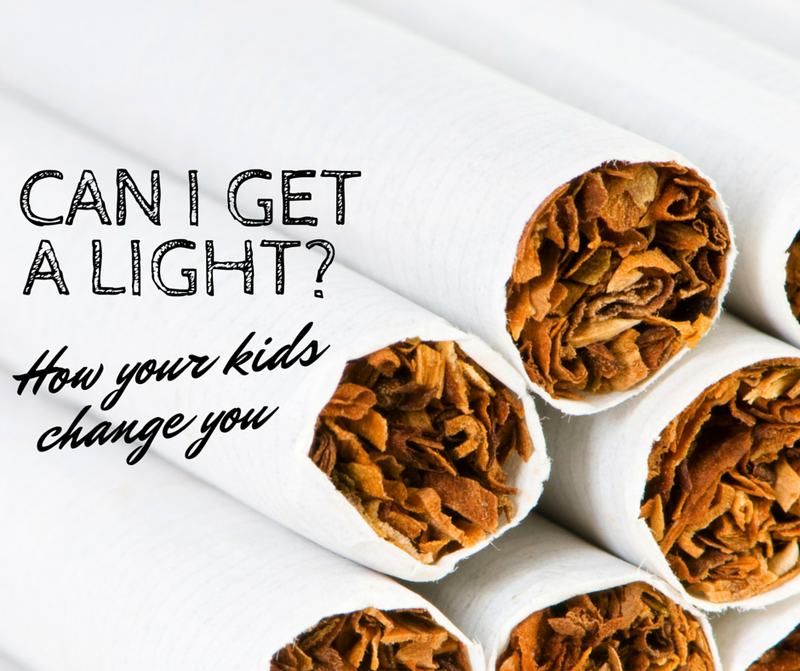 We are a bit startled when 6-year-olds ask someone for a light. Second: the story makes us pay attention to something we don’t want to pay attention to: Smoking kills you. And the campaign tells us that (again) in a novel way. Your dreams for your kids can change your dreams for you. 1. We want the best for our kids. And that “best” includes them not smoking when they’re 6. That’s obvious. But we all know our dreams for our kids are much broader. We want them to be active; to be kind; to learn their purpose; to be hard-working; to eat well; to make the faith their faith. 2. Yes we want the best for our kids. But the second thing the campaign makes clear is this: we want the best for us too. As parents-of-three, my wife and I are continually thinking through how we can provide the best environment for our kids. As a result we try (in our own flawed way) to be outside, to be active, to eat well, to pray often, to model respect, etc. A TV show or computer game that just ain’t right? A box of ice cream in one sitting? You know what yours is. (And you might even feel awkward imagining it in print.) As I once heard it said, who you really are is who you are when no one is watching. Well, isn’t it also true that who you really are is the you you hide from your kids? That’s how your dreams for your kids can change your dreams for you. When we want the best for them, we can, if we’re willing, want the best for us. To be active; to be kind; to learn our purpose; to be hard-working; to eat well; to make the faith our faith. And to be in private who we want to be in public. To live out in the open and stop hiding. Remember: You’re only as healthy as you are today. Yes, your kids need you. But you need you too. Want to start the day right? Me too! Sign up for my “Up!” — my new 1-minute daily devotional by clicking here.